A Jillian Vance Design: Fall Coffee Lover's Blog Hop! 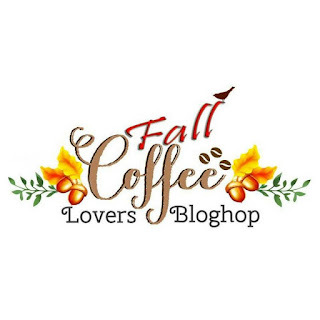 Today is the day...the start of the Fall Coffee Lover's Blog Hop!! Woohoo! So without further ado...here's my card! Thanks for being a super sponsor! Super cute card! Okay, now how sweet is this?! I love it Shelly! 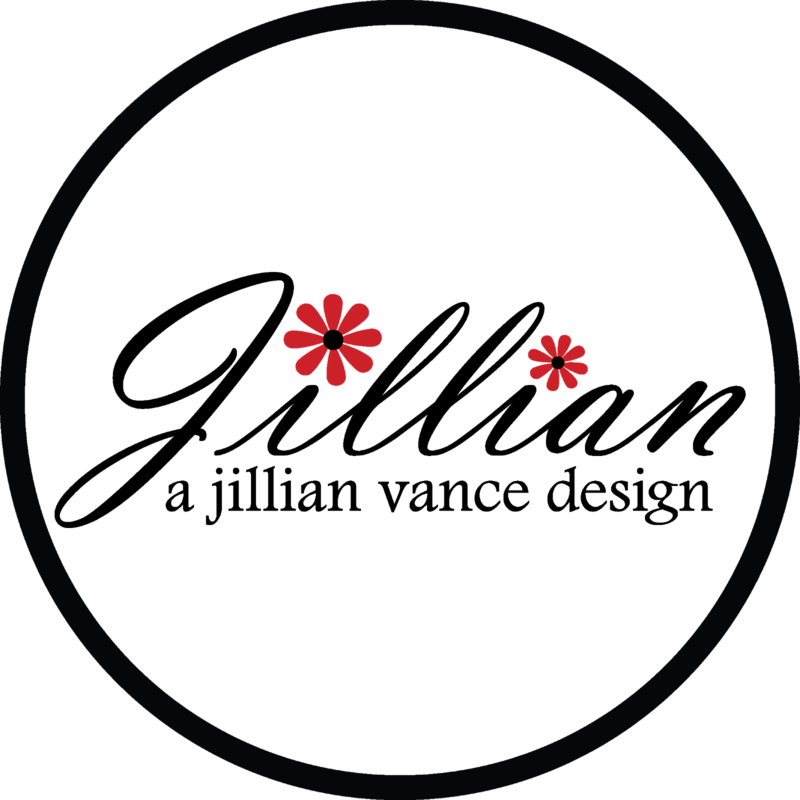 Thanks to AJVD for being a continuing Super Sponsor for our blog hops!!!! What a lovely cad, very elegant in that colour. 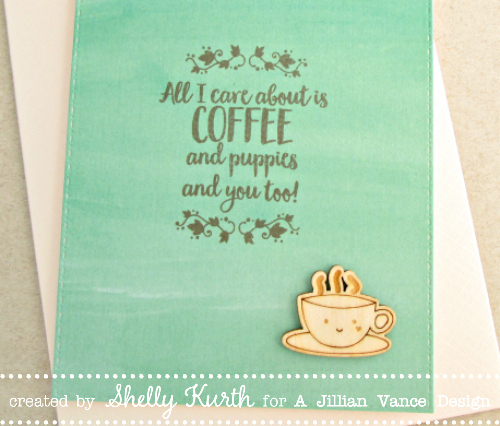 What a sweet and adorable card, Shelly! Love it! I love your sweet and simple design! I'm a big fan of your products, thank you for sponsoring the hop! Oh so cute!! :D Love that coffee cup. Thanks for being a super sponsor! I love your sweet CAS inspiration today! Beautiful CAS design!! Thanks for being a Super Sponsor! Such a sweet card and thanks for being a great sponsor. than you for being super sponzor! Fantastic cards. Love the colors. Thanks for being a super sponsor. A wonderful card. Thanks for being a super sponsor too. Thanks for being a super sponsor! I love the look of your "simple" card. Love that background. The sentiment just pops! Such a sweet card! Coffee and Puppies....perfect! Cool card. Love your great color combo. Thanks for being a sponsor! Just adorable! Thanks for being a Super Sponsor. Cute card! I love the dotted rectangular die! Like the CAS with style & sentiment. I'm a dog fan. Daisy says woof! Cute card! Love the veneer piece! 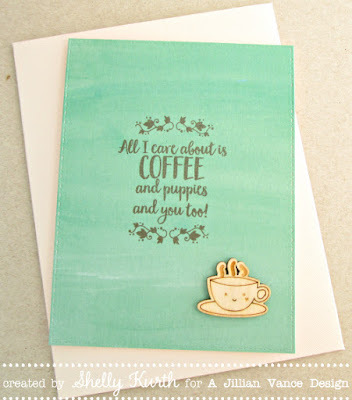 Love your card, and that's a great set of coffee stamps! Awesome sentiment! Coffee and Puppies!!!! You bet...Cute card! Beautiful turquoise base for your fabulous sentiment, CAS at its best. Cute CAS coffee design, Shelly! 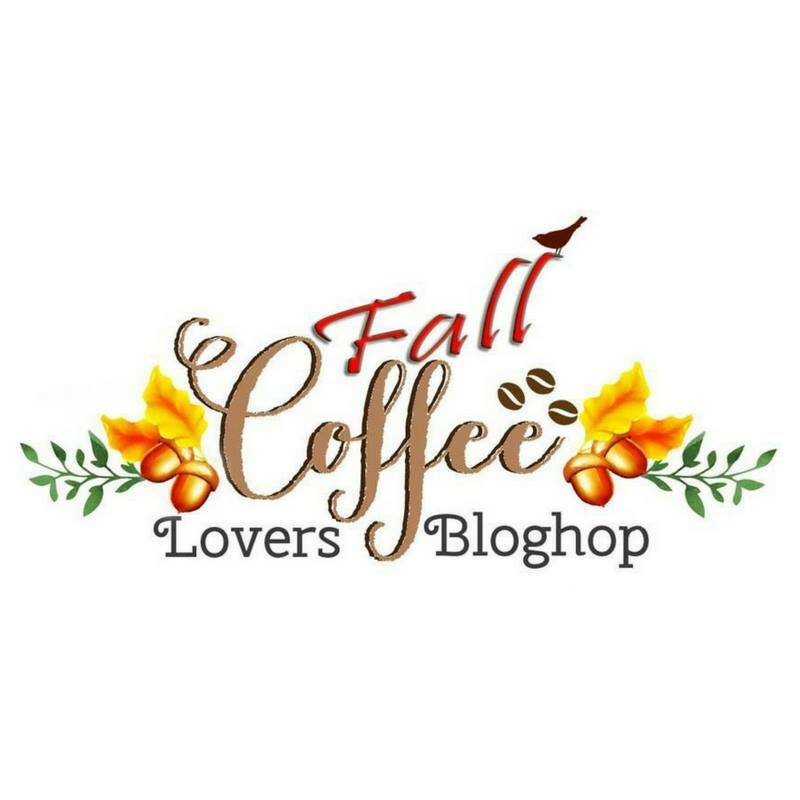 Thanks for sponsoring the Coffee Lovers Fall Hop. Your CAS creation is too cute! Thanks for being a sponsor! I love your card! *-* its so cute! So cute! Love that sentiment! And the little wood coffee cup... adorable! Lovely color combination, and I ADORE the sentiment! Eek! That is the cutest ever! How adorable and simple! Love it and LOVE those dies! they are a staple!!!!! Thanks for sharing! Oh wow! Beautiful card!!! Thanks for being a Super Sponsor!!! This is so sweet Shelly! Such a lovely card. So sweet and simple. Love the sentiment and colors. What a great card and perfect for the hop. Thank you so much for being a super sponsor! And love your sweet card! Love the little cup in the corner of the card. Also like the two stamp set you've shown beneath your project card. Super cute sentiment and card! Love your card and the saying is great for a coffee and dog lover. Your card is gorgeous! I love the little smiley face on the cup! Thank you so much for sponsoring my favourite blog hop! I would be thrilled to win your prize! Wishing you a great day! Super cute card! Love the little coffee cup! What a cute card! Love the colors too! Such a sweet creation! Thanks for being super sponsor! What a great sentiment and cute coffee cup. I love CAS cards! Super cute! Love this CAS design - and that sentiment is super cute! 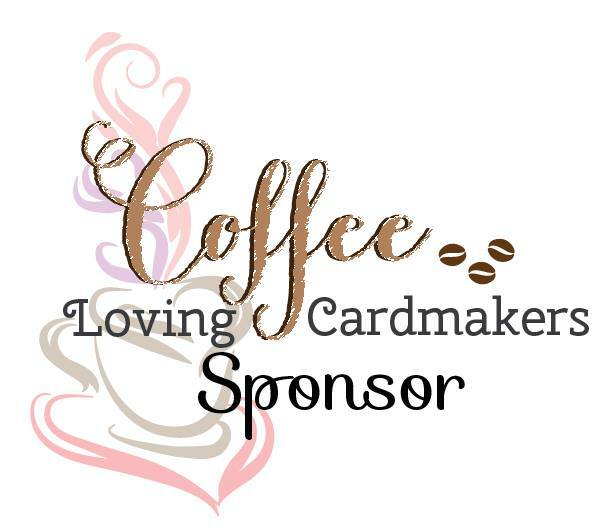 Thanks for being a sponsor of the blog hop, for the inspiration from your lovely coffee card, and for the opportunity to win! how fun! cute sentiment! Thanks for being a sponsor!! Simple but sweet. Cute sentiment, thanks for sharing. Love the cute little smiling coffee cup!! Thanks for being a super sponsor!!! Love your card!!! Cute card. I love the sentiment used. Such a sweet card with lovely colors! Awww that sentiment is just so sweet and makes me grin all over my face! Thanks for sponsoring such a fun hop! Love the sentiment so perfect! Great card thanks for sharing and sponsoring! Thanks for sharing and being a sponsor! Simply adorable! I love that saying! Thanks for being a sponsor for this super fun hop! What a cute sentiment. Great job. Aw, fabulous work! Thanks so much for sponsoring agin! So cute!!! I love this color mint.